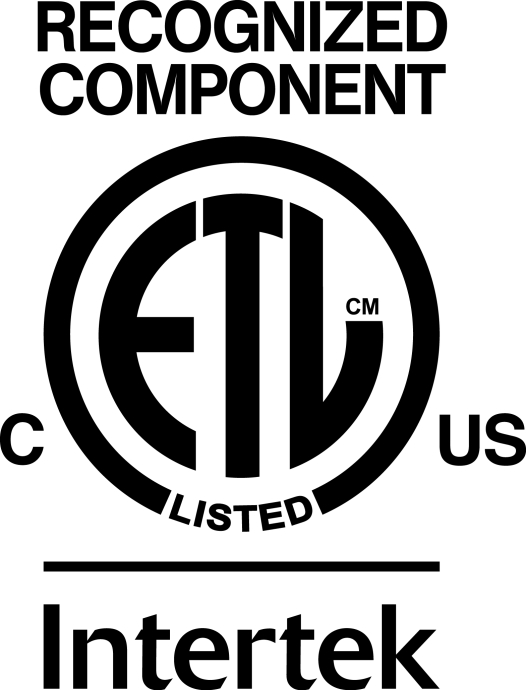 ESCONDIDO, CA, March 21, 2018 ­- TDG Technologies, a manufacturer of wireless sensor systems for industrial processes, announced today that its SmartHAWK® Power Sensor has been tested and approved by Intertek as a UL Recognized Component per UL 61010-1 and CSA C22.2 No. 61010-1. These safety standards ensure that the Power Sensor is designed and manufactured in such a way as to minimize any hazards to the equipment operator and surrounding areas. The mark also indicates that TDG Technologies’ production site conforms to a range of compliance measures and is subject to periodic follow-up inspections to verify continued conformance. For more information about TDG Technologies and its patented line of SmartHAWK wireless sensors, please visit www.tdgtechnologies.com. Linear Technology, developer of Dust Networks® product group and SmartMesh wireless sensor networking products, announced the release of a joint case study co-authored with TDG Technologies. The case study frames up the challenges that airports face in cost-effectively monitoring fuel pumps located in hazardous environments at airport facilities. Deployment of SmartHAWK® wireless sensors running on Linear’s SmartMesh networks allows airport operations managers to identify and eliminate potentially catastrophic pump failures, which could interrupt aircraft operations. SmartHAWK systems placed in airport fuel tank farms help increase efficiency and lower operating costs by enabling a more data-driven decision-making process. This case study can be found on Linear Technology’s website (click here) as well as on the TDG Technologies' website (click here). Figure - SmartHAWK sensors wirelessly monitor airport fueling operations, enabling maintenance teams to identify and eliminate potentially catastrophic pump failures, which could interrupt aircraft operations. The introduction of SmartHAWK Web represents an evolution for how customers access sensor data to assess the performance of their mission-critical equipment. Customers can now review data from any web-enabled personal computer or mobile device. Alert notifications and messages are sent in real-time to smartphones, tablets, or personal computers, anywhere in the world. SmartHAWK Web utilizes advanced, multi-layered security using an SSL/TLS-encrypted browser and requires that all communications originate from the local SmartHAWK installation. SmartHAWK Web is currently available with any new implementation of a SmartHAWK wireless sensor system. For more information about SmartHAWK Web or the patented SmartHAWK® line of wireless sensors, please visit www.tdgtechnologies.com. TDG Technologies' SmartHAWK Vibration and Temperature Sensor is certified as intrinsically safe and approved for use in Class I, Division 1 Hazardous Locations in North America. The SmartHAWK Vibration and Temperature Sensor can now be installed on pumps, motors, and other rotating equipment in the most stringent hazardous locations applications: oil and gas refineries, pipeline facilities, terminals, storage facilities and other industrial and chemical processing applications. Following the issuance of the Hazardous Location certification, TDG Technologies installed a SmartHAWK wireless monitoring solution at the fuel depot of a California airport. The system monitors the vibration and temperature levels of three pumps and horizontal motors that pump jet fuel to the dispensing terminal for fuel truck deliveries throughout the airport. SmartHAWK wireless vibration and temperature sensors monitoring fuel pumps at a major California airport. This certification allows the SmartHAWKVibration & Temperature Sensor to be installed on pumps, motors, and other rotating equipment that operates inside a Hazardous Location where explosive gasses or dust might be present, particularly in industries such as Oil and Gas, Chemical, Fuel Storage Tanks. TDG Technologies installed a SmartHAWK® wireless monitoring solution at a water treatment plant. The SmartHAWK® system, comprised of a Computer, Wireless Gateway, ten Vibration & Temperature Sensors, and two Temperature & Relay Sensors, is being used to provide historical trend data, as well as continuous monitoring to allow operators to make more informed decisions about equipment maintenance. SmartHAWK wireless vibration and temperature sensors monitoring motors at a water treatment plant. Division 2 = A place in which an explosive atmosphere is not likely to occur in normal operation, but may occur for short periods. TDG Technologies installed the first SmartHAWK® wireless monitoring solution at the Batiquitos Pump Station for the Leucadia Wastewater District. SmartHAWK wireless vibration and temperature sensors installed on a motor at a water treatment facility. TDG Aerospace, Inc. has established TDG Technologies LLC as a wholly-owned subsidiary to develop and market non-aerospace related products and technologies. TDG Technologies’ first product, the SmartHAWK® family of wireless industrial sensors, reflects the business philosophy of its parent company: bringing affordable, customer-centric solutions to markets that are otherwise poorly served. After fires at the Miami Airport fueling depot and the Boston Airport fueling depot, TDG reached out to its various contacts in the commercial aerospace industry in an effort to understand the maintenance practices and challenges associated with operating and maintaining these critical facilities. A lack of affordable solutions for real-time health monitoring of the equipment in hazardous environments, such as the airport fuel depots, was readily apparent. TDG Technologies LLC was established shortly thereafter. The small but highly skilled team at TDG Technologies has leveraged its extensive experience in the ultra-regulated aerospace industry to begin developing a family of low power, robust, industrial wireless sensors that will be approved for use in both hazardous and non-hazardous applications. Employing the latest technologies in wireless mesh networking, sensors and ultra-low power hardware, TDG Technologies LLC intends to marry the convenience of wireless with the benefits of real-time data in a way that is affordable to those other than the largest industrial operators. It is the vision of TDG Technologies that the SmartHAWK® family of wireless sensors will be a viable solution for any industrial application, from the smallest publicly-funded municipal water district to the largest industrial operators in Class 1 hazardous environments. Founded in 1990, TDG Aerospace, Inc. is headquartered in Escondido, CA. The company designs and manufactures products to prevent problems associated with fire and ice on commercial aircraft. TDG Aerospace’s NOFOD Clear Ice Prevention System prevents the formation of cold-soaked wing ice. The company’s patented UFI® devices protect aircraft electrical systems and components from electrical anomalies such as ground faults, arc faults and over-current conditions.